Between my husband and my three boys my grocery bill has been sky-rocketing lately. I swear, even though my boys are 8 and under, they are already eating like teenagers! 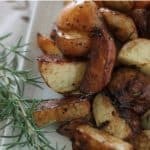 In an effort to control the budget I’ve been making potatoes a lot more for our dinner sides because they are so inexpensive and easy to cook a variety of ways…these rosemary balsamic roasted potatoes are incredibly flavorful and roast up perfectly with a crisp outside and soft interior! Preheat oven to 450 degrees. Spray a baking sheet with nonstick spray. 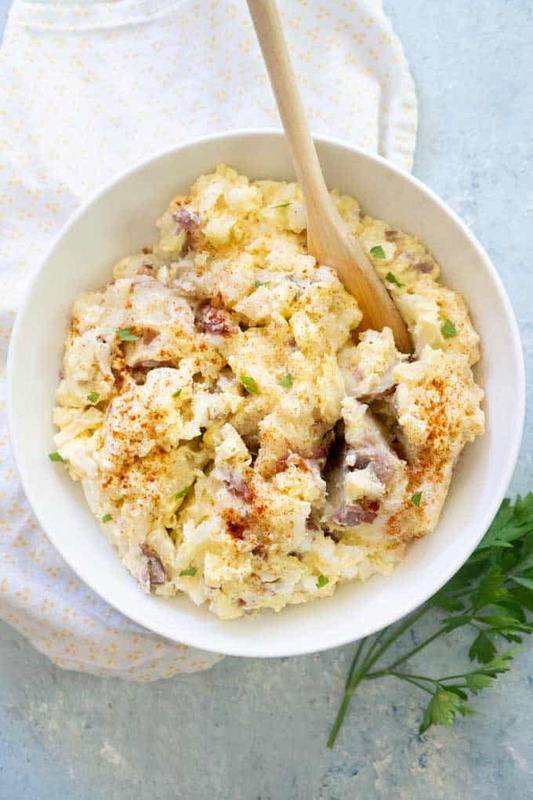 Combine all ingredients EXCEPT vinegar in a large bowl and stir to coat. Place potatoes in a single layer on the baking sheet and bake for 25 minutes. 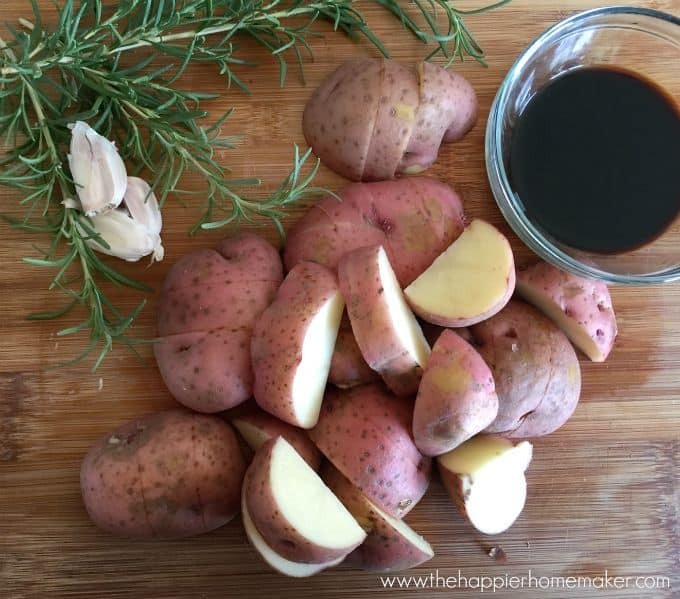 Pour balsamic vinegar evenly over potatoes and bake for an additional 5 minutes. Combine all ingredients EXCEPT vinegar in a large bowl and stir to coat. Place potatoes in a single layer on the baking sheet and bake for 25 minutes. 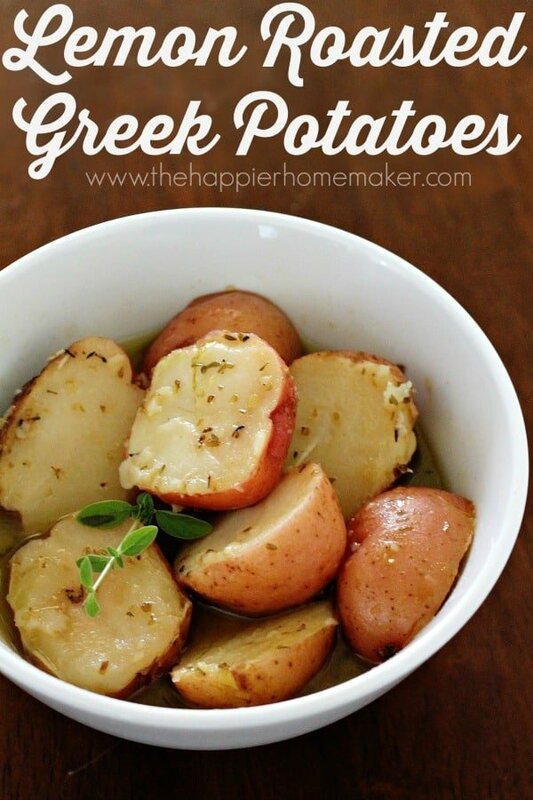 Pour balsamic vinegar evenly over potatoes and bake for an additional 5 minutes. previous post: 100+ Craft Projects! These look delicious!! Would love to try soon! Oh my word!!! 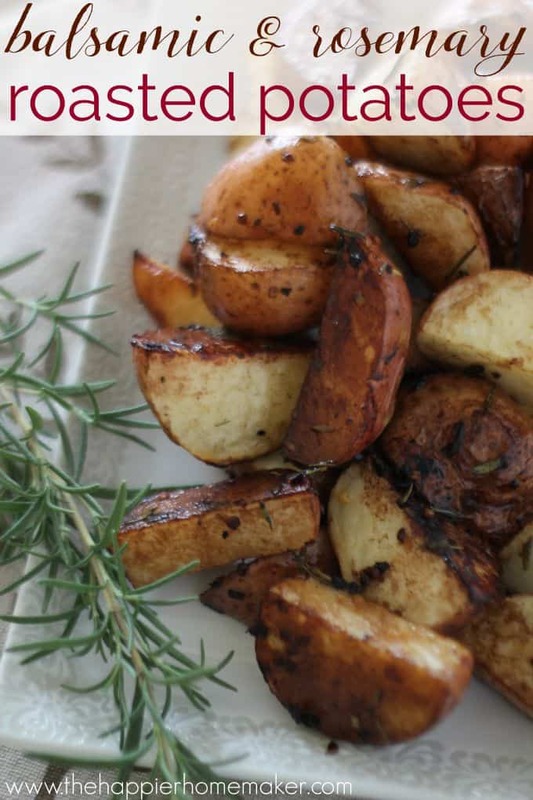 I love potatoes and rosemary and balsamic so to put them all together is perfect!! !